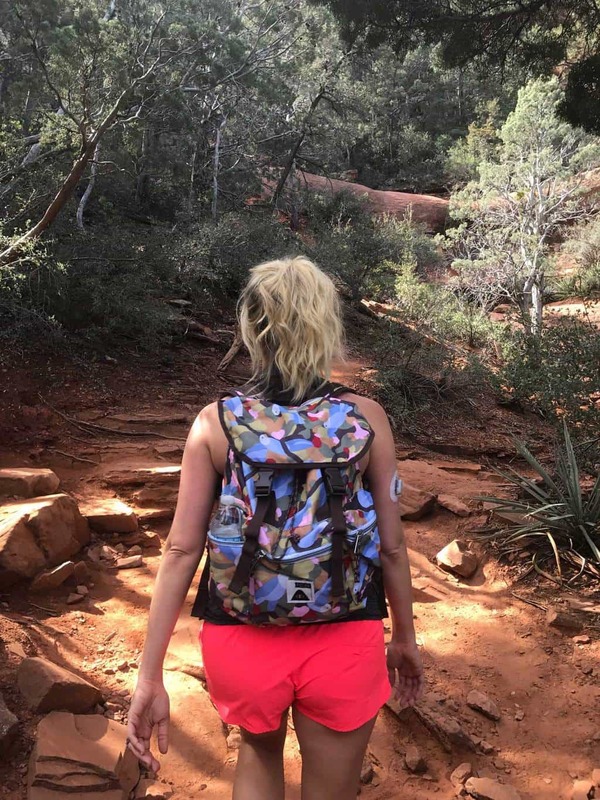 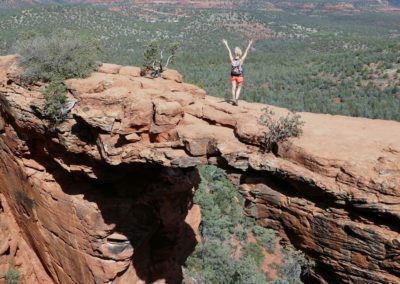 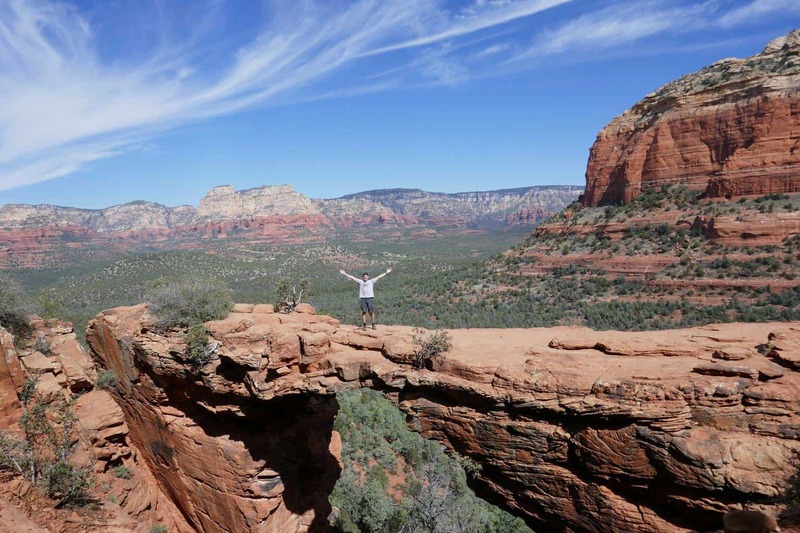 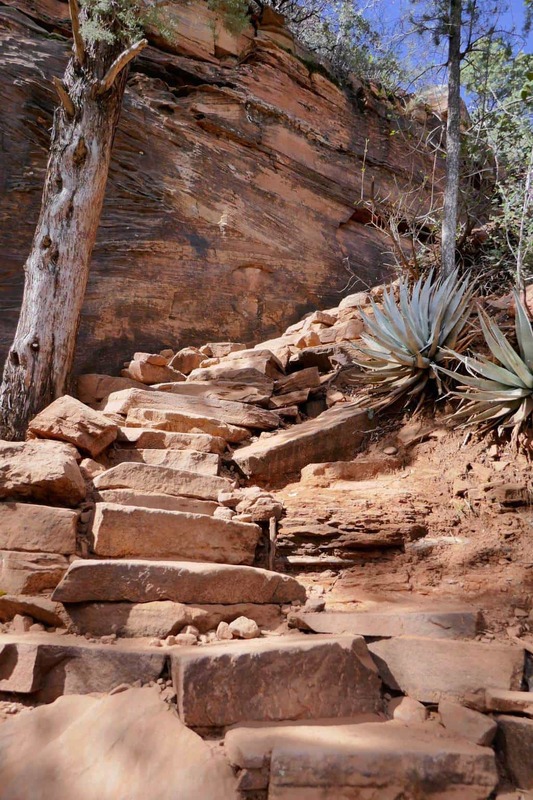 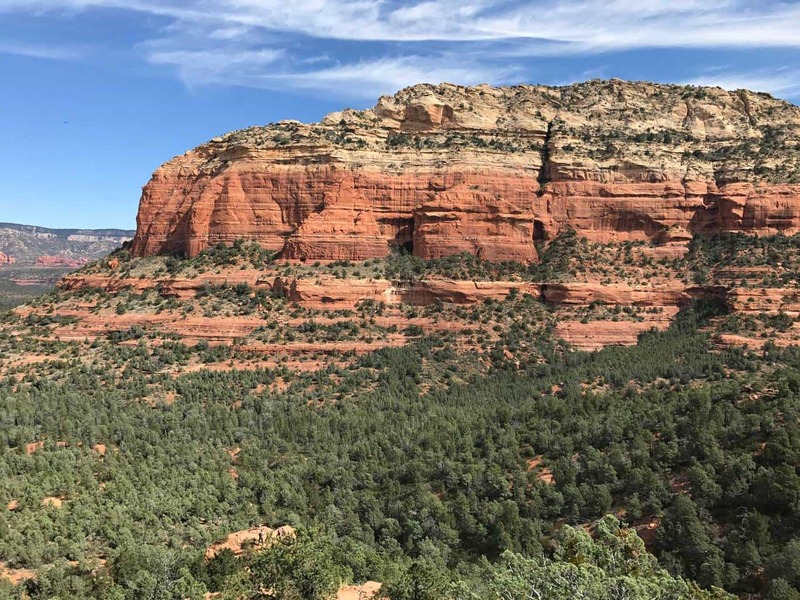 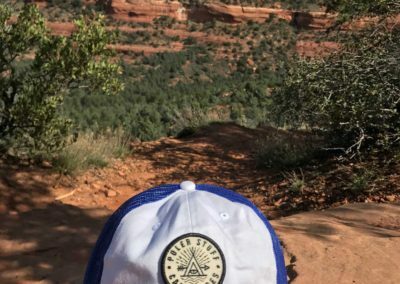 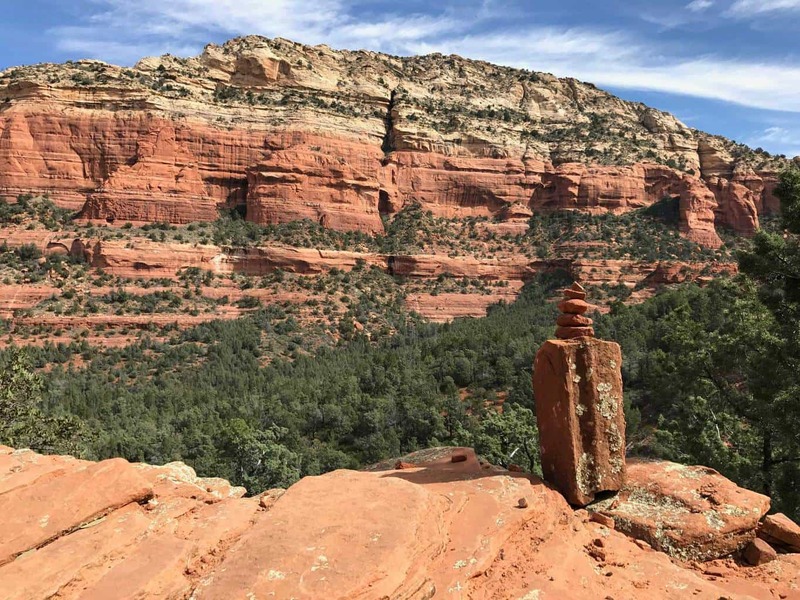 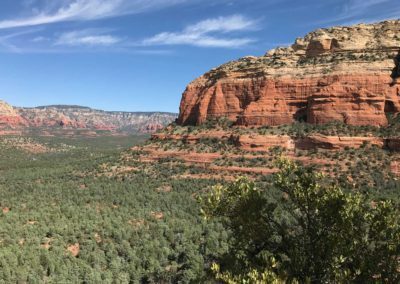 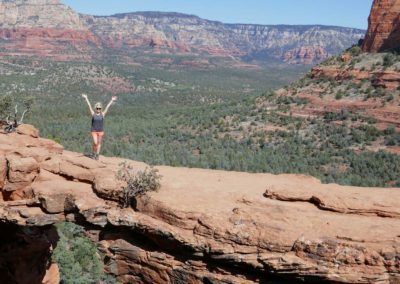 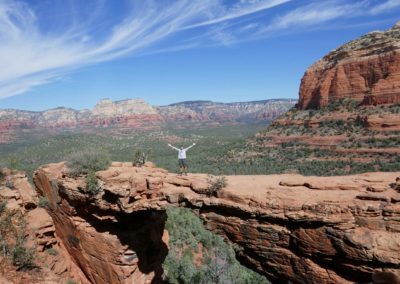 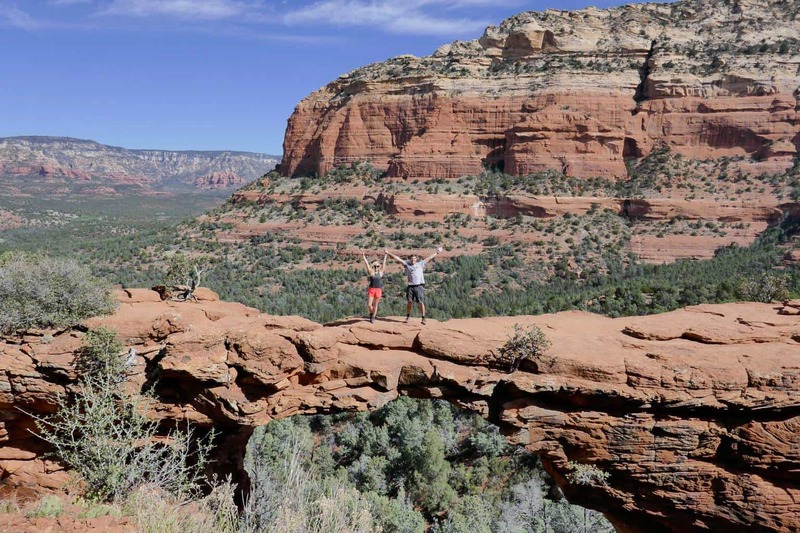 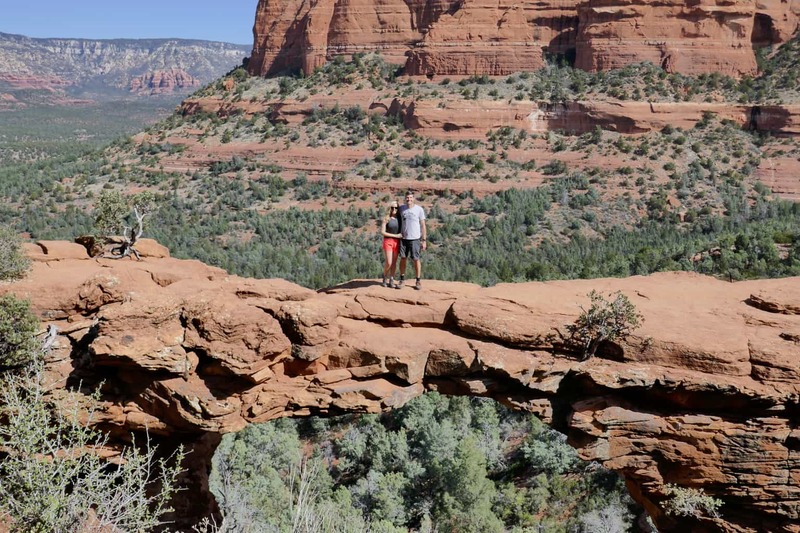 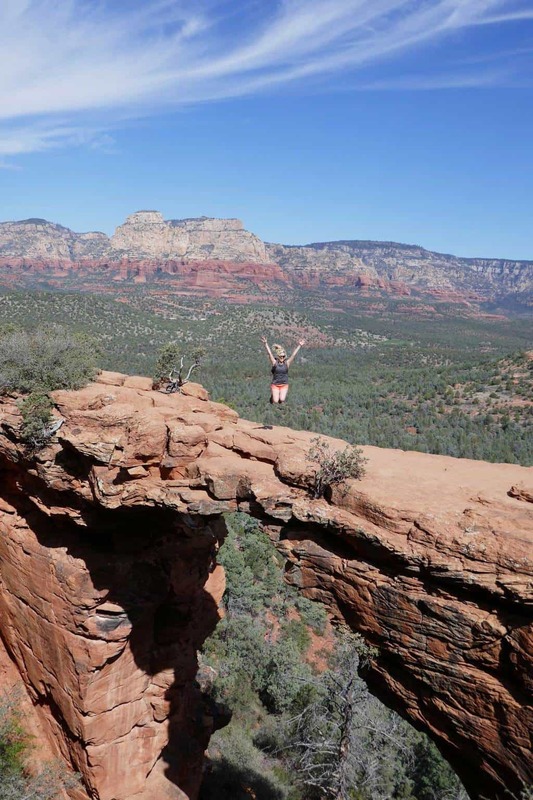 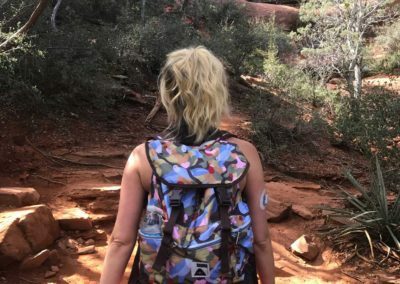 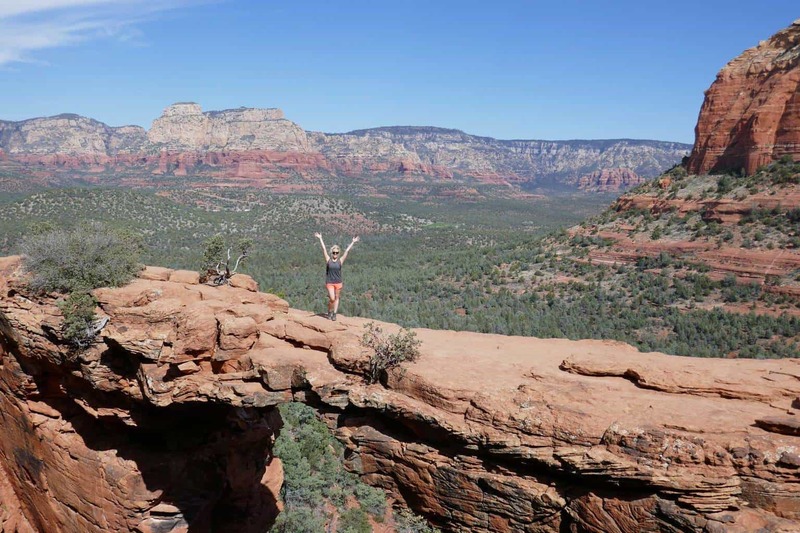 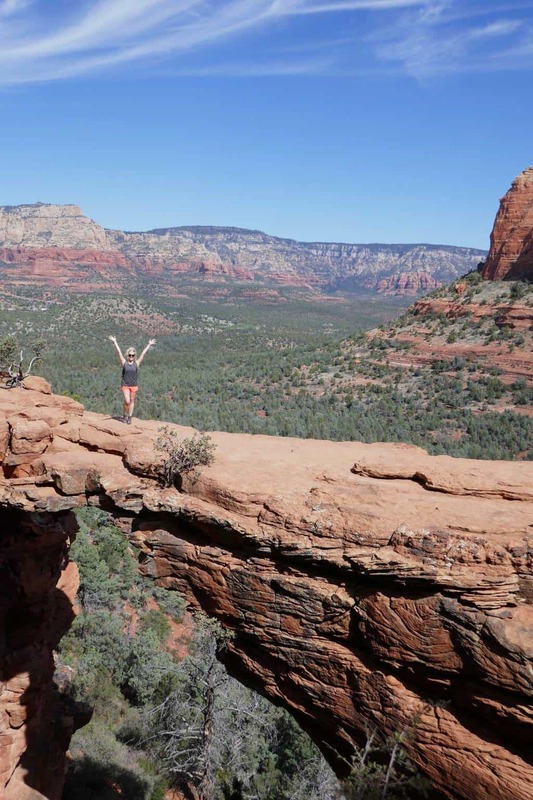 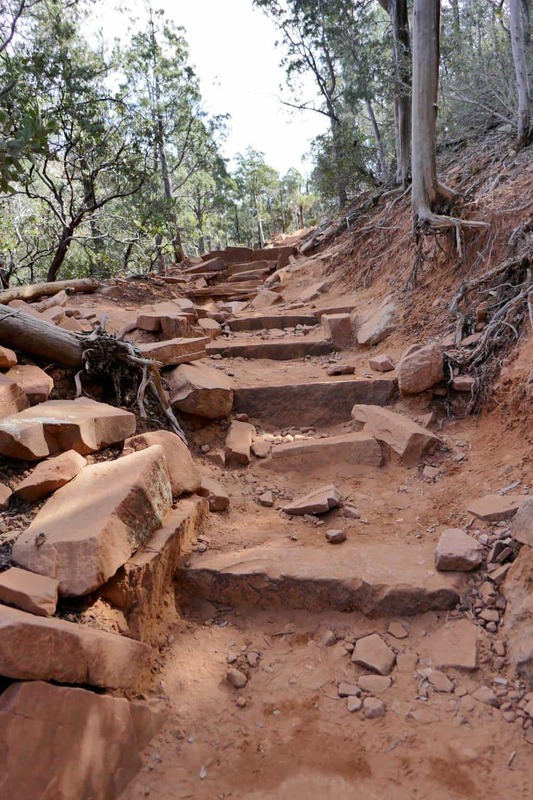 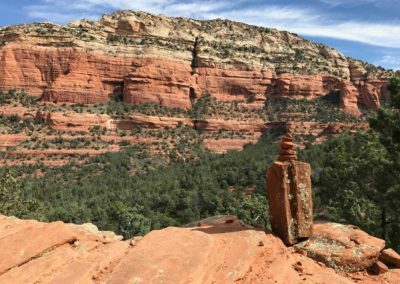 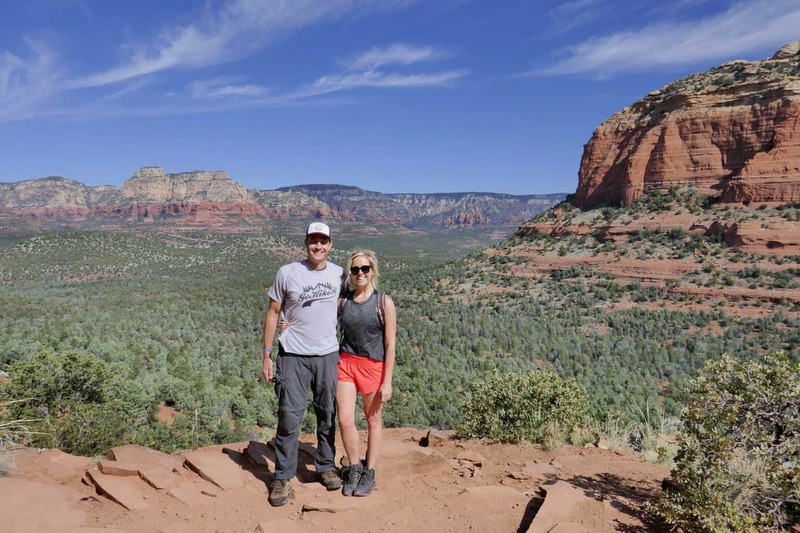 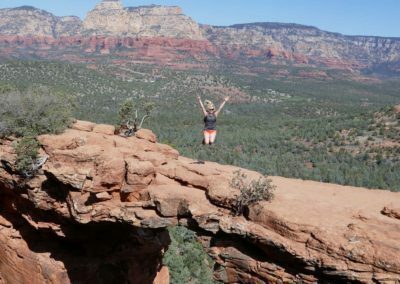 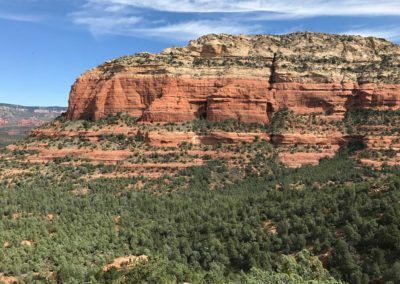 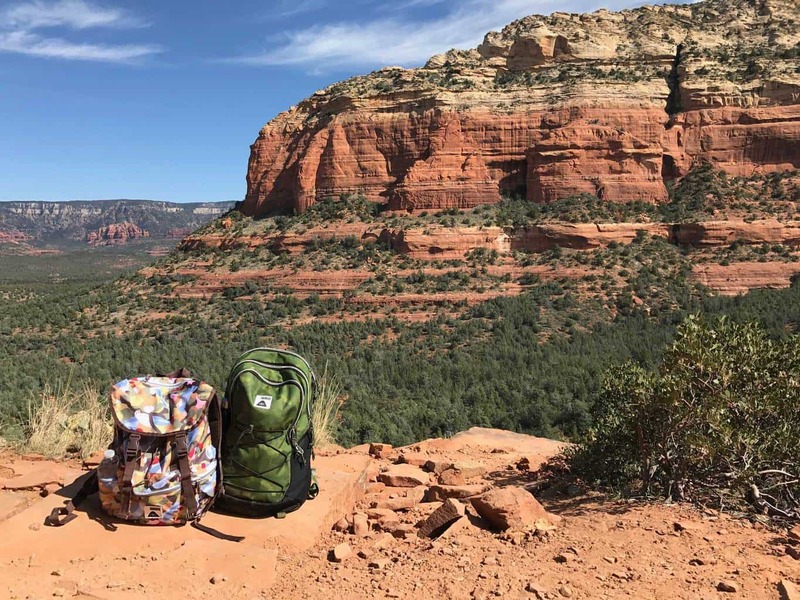 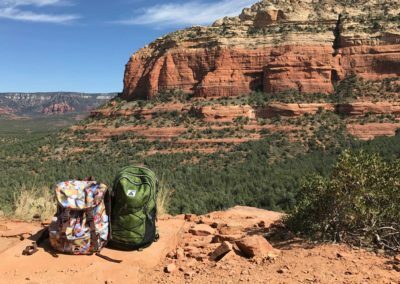 Devil’s Bridge | Sedona Hiking Trail: Sedona is full of several incredible hiking trails, including the Devil’s Bridge Trail! 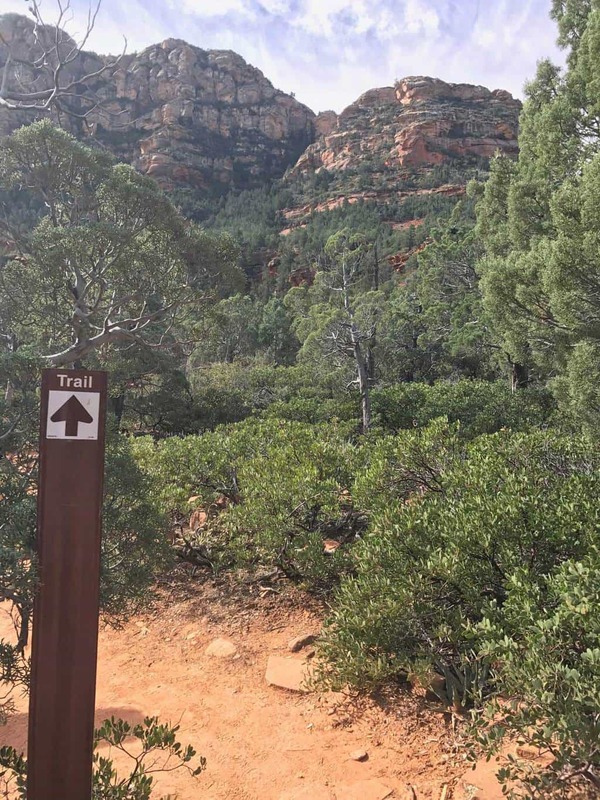 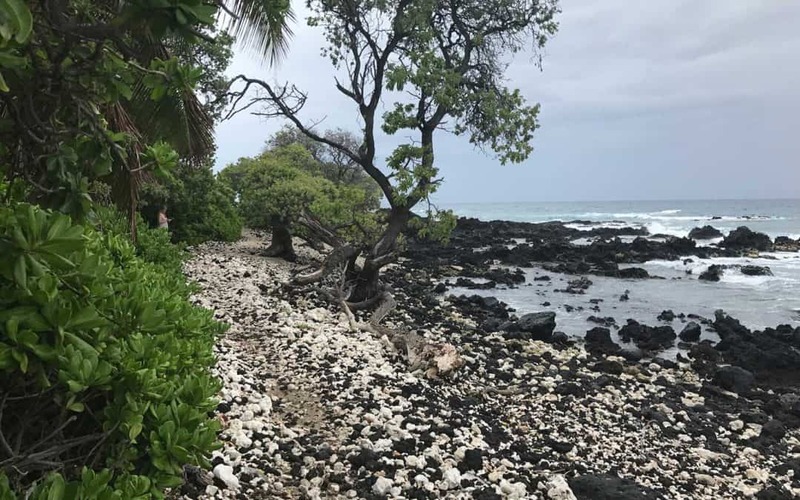 Don’t let the name fool you, this trail is perfect for any type of saint! 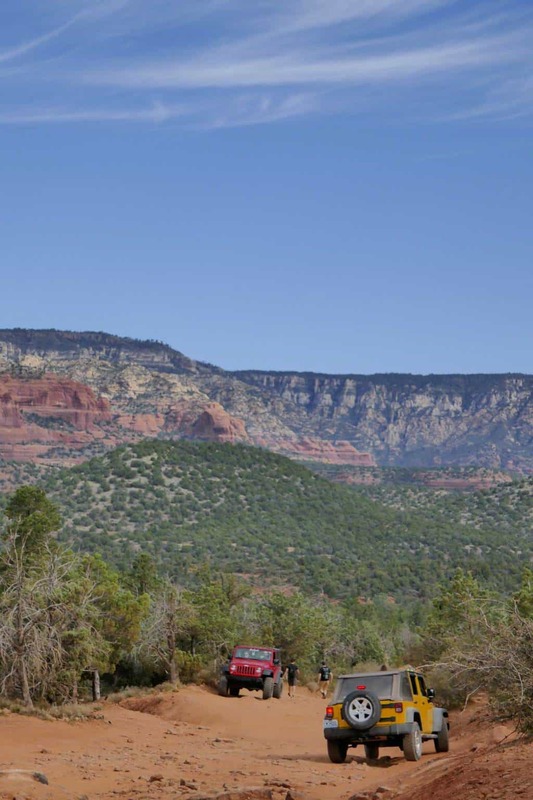 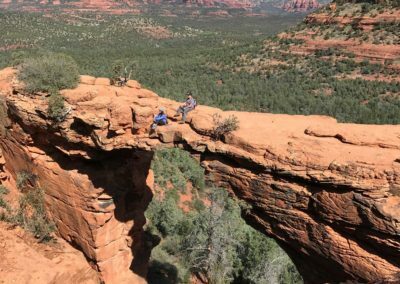 Located about a 15-20 minute drive from downtown Sedona, Devil’s Bridge is a 4.5-5 mile round-trip hiking trail that takes adventure seekers into the heart of Red Rock Country. 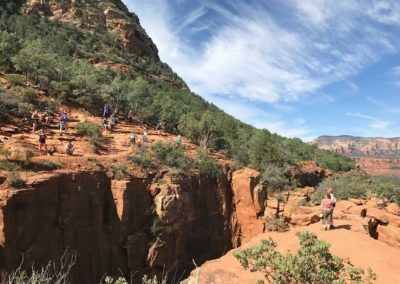 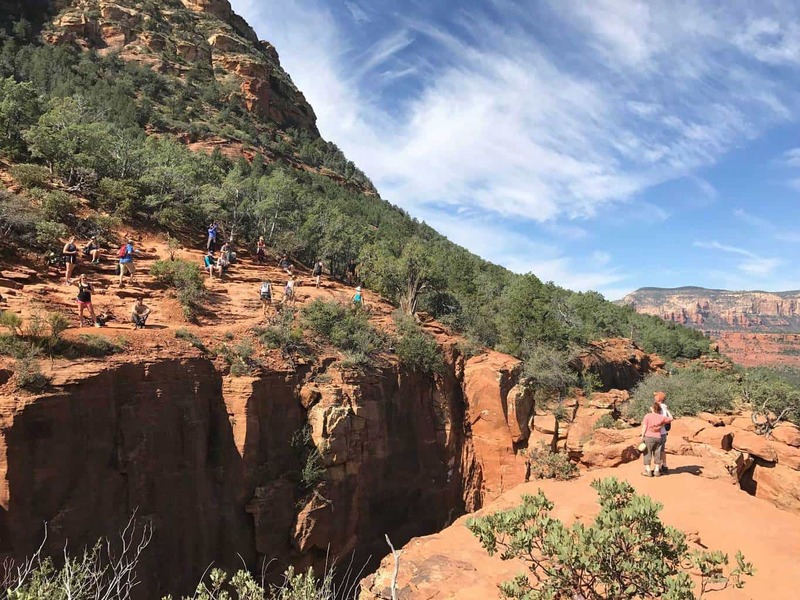 At the half way point, hikers climb up a natural stair case to Devil’s Bridge, the largest natural sandstone bridge in the Sedona area. 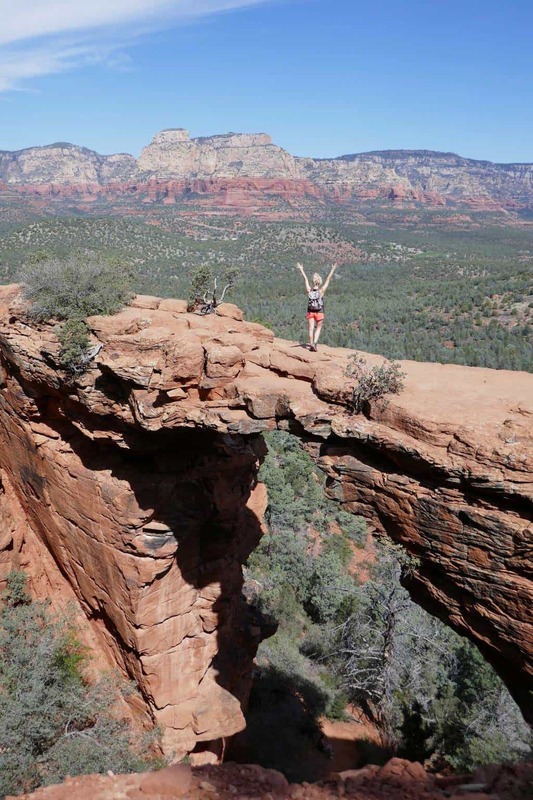 The bridge is suspended about 50 feet above the ground. 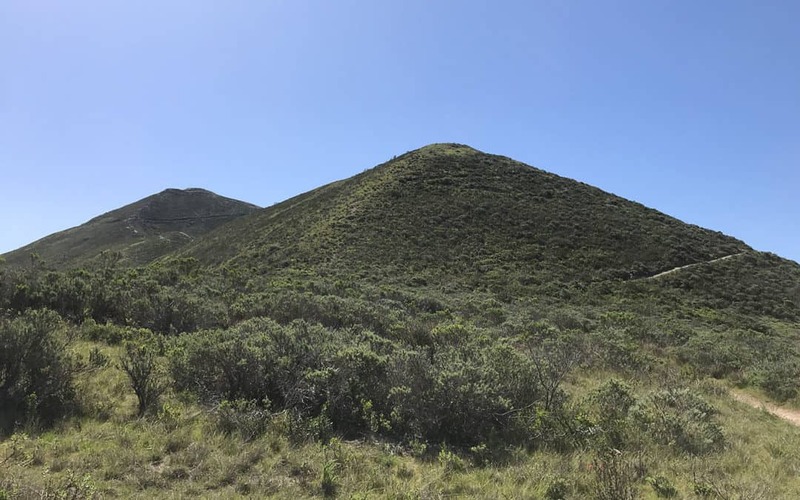 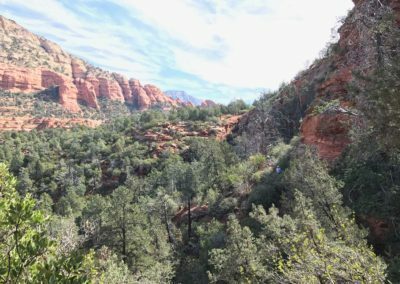 The trail starts along Boynton Pass Rd/Creek Creek Rd intersection and continues down Vultee Arch, a wide fire trail road for 1.5 miles. 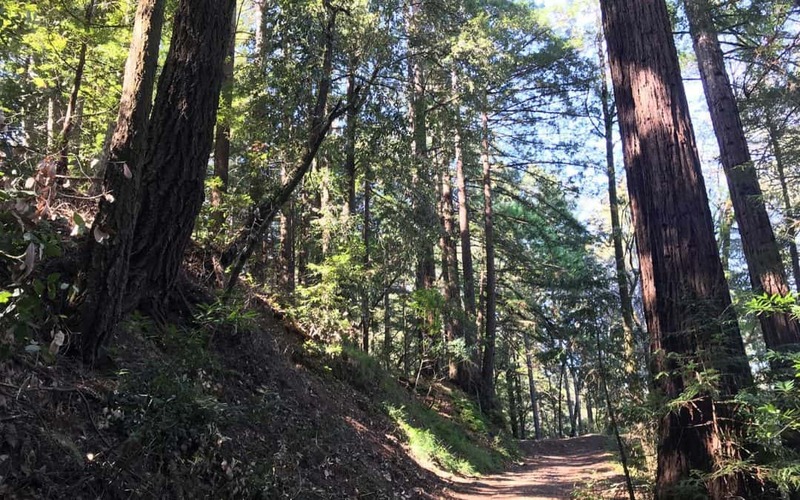 At the 1.5 mile marker, you’ll make a right turn to Devil’s Bridge trail and follow the trail up a 400 foot elevation climb to Devil’s Bridge. 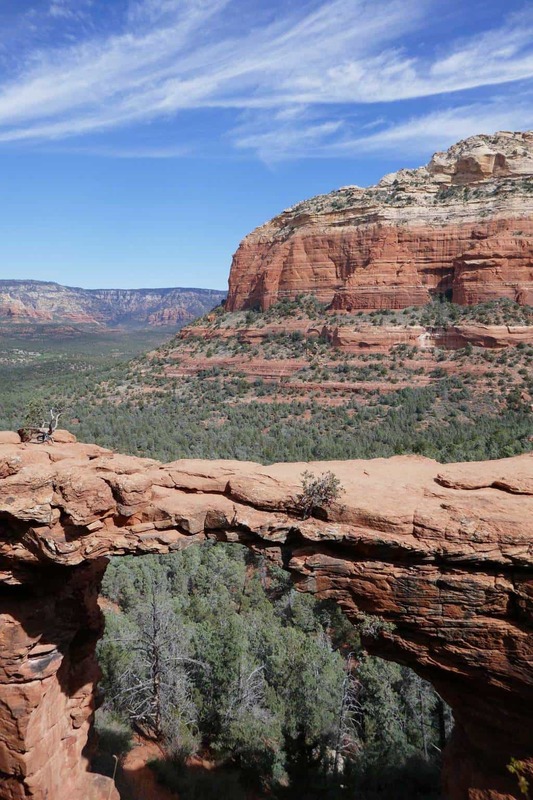 The entire area around the bridge is extremely picturesque and (literally) breathtaking at 4,600 elevation. 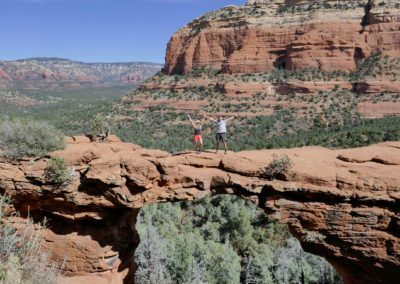 If you’re brave enough walk across the bridge and share an incredible experience in the heart of Coconino National Forest. 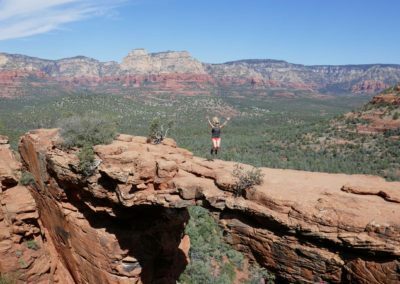 Tips: Go early as this trail is very popular and it can take some time to take a candid, solo photo on top of the bridge. 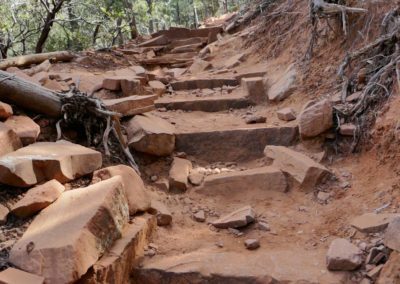 It’s also recommended to bring sturdy hiking shoes and plenty of water. 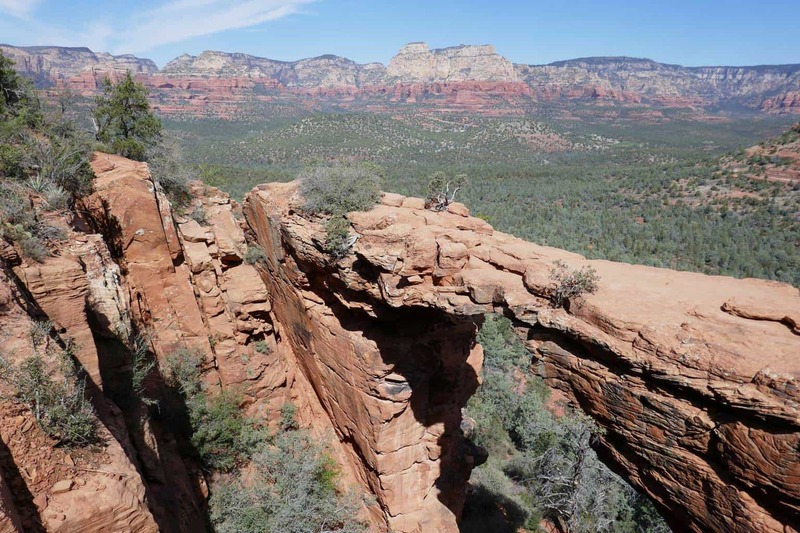 Devil's Bridge is the largest natural sandstone bridge in the Sedona area. 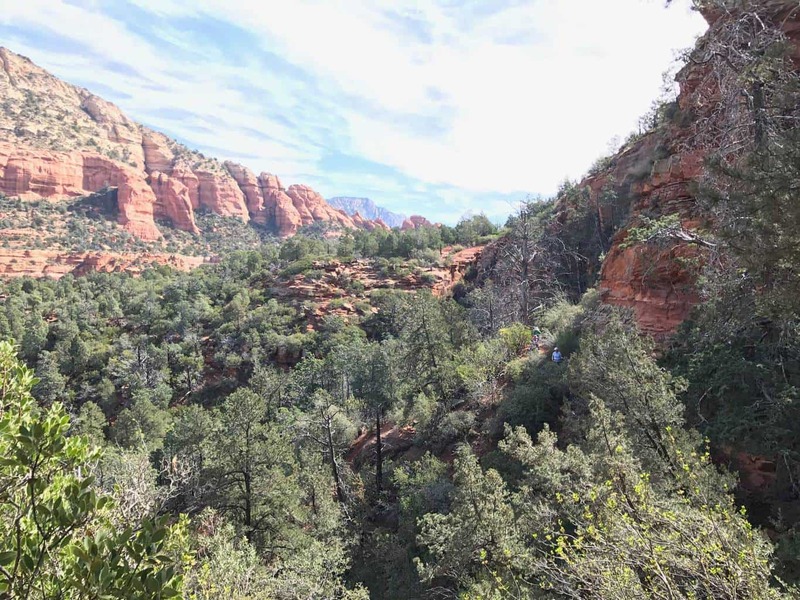 The first dated human presence in Sedona traces back to 11,000 to 9,000 BC. 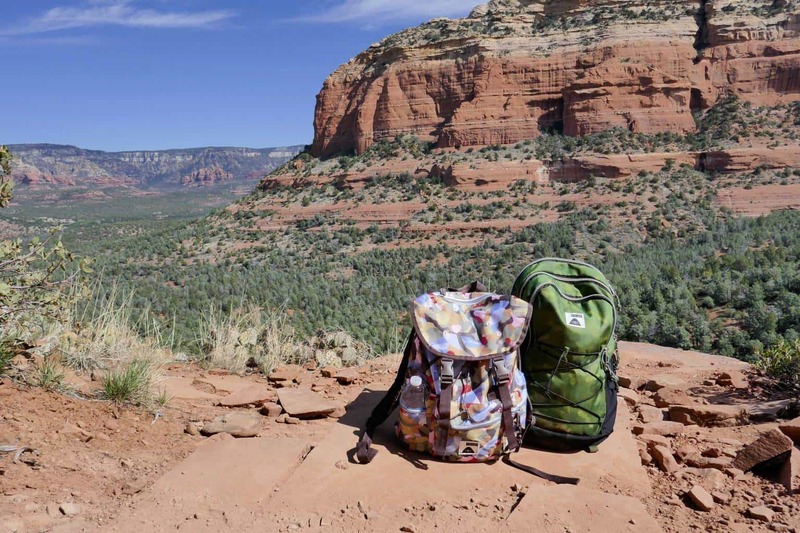 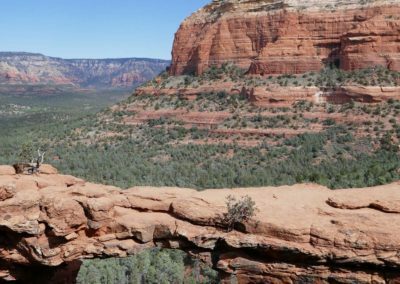 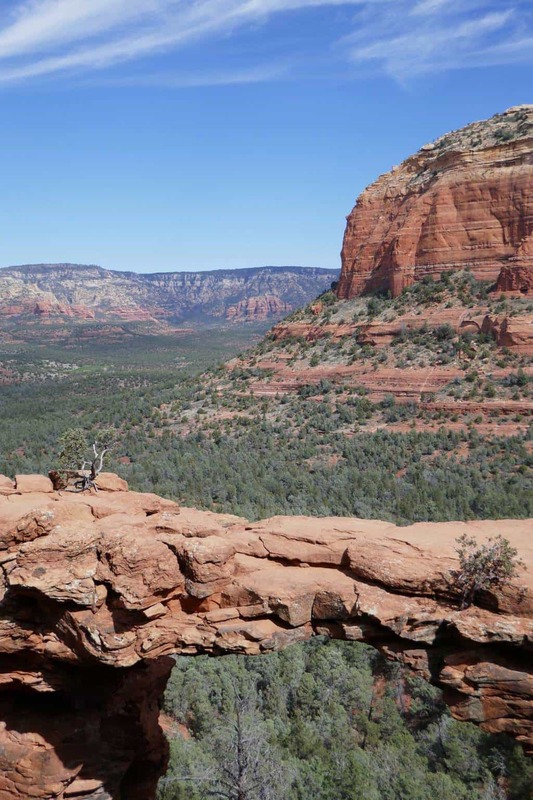 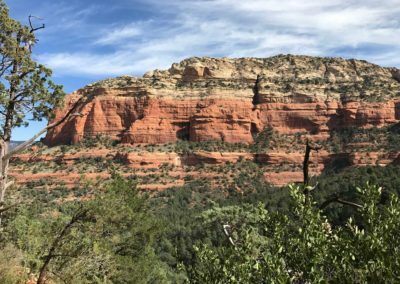 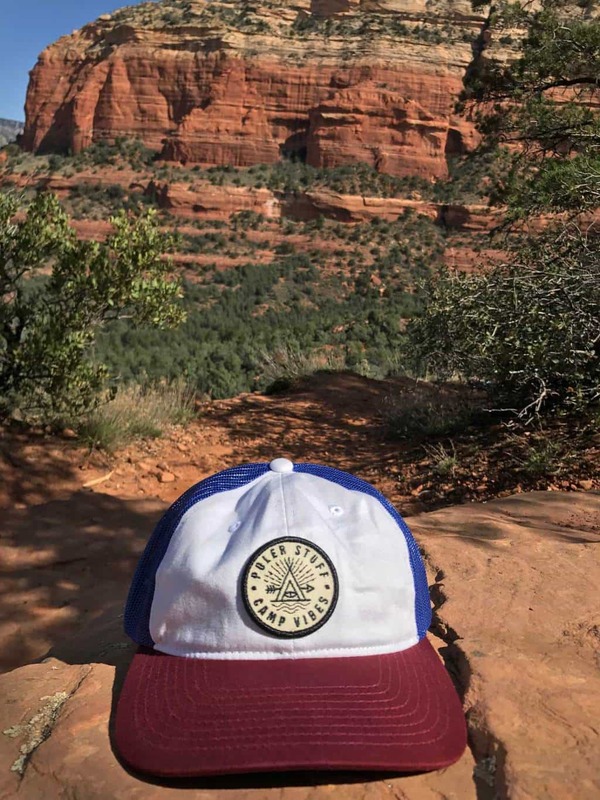 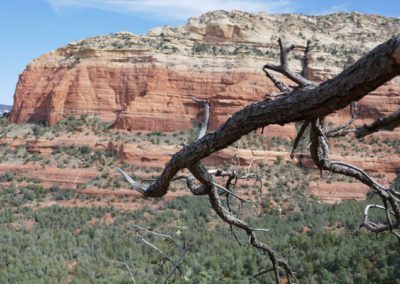 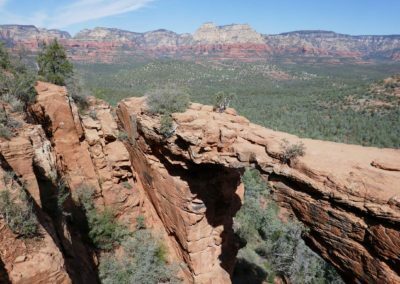 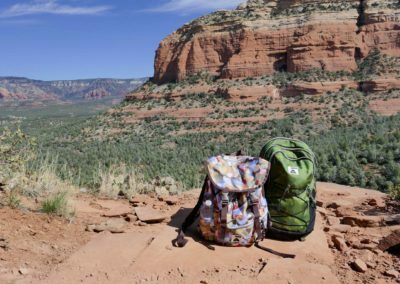 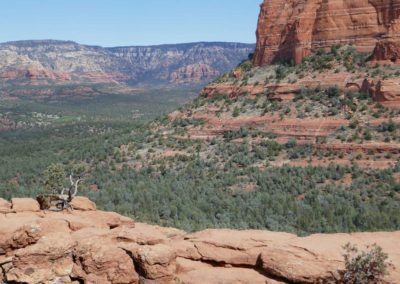 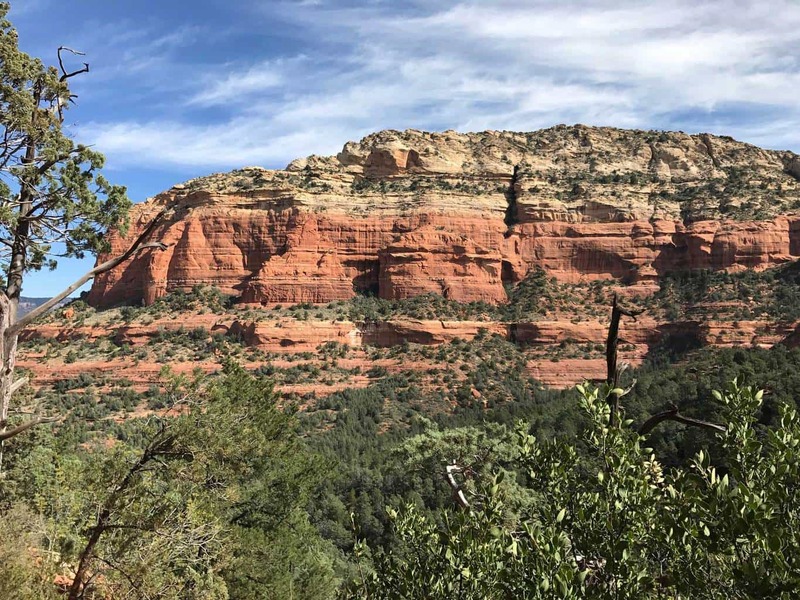 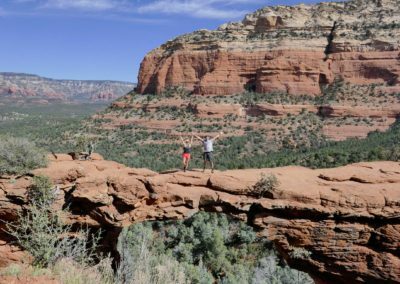 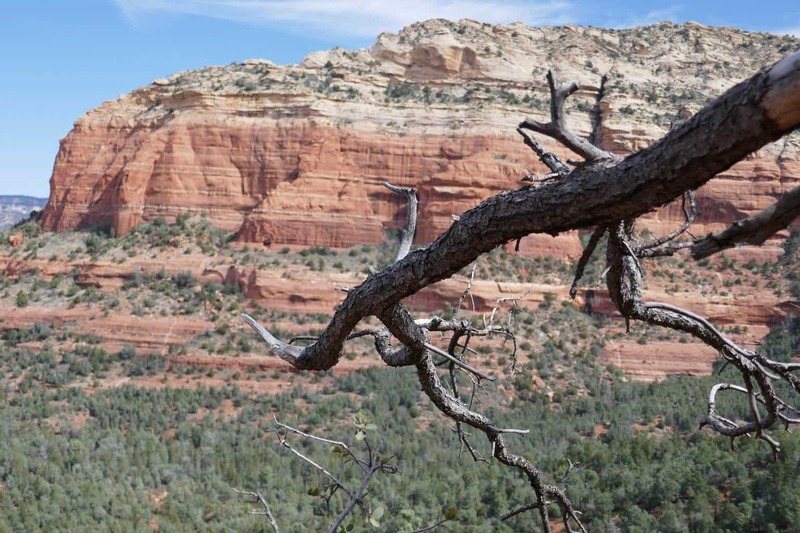 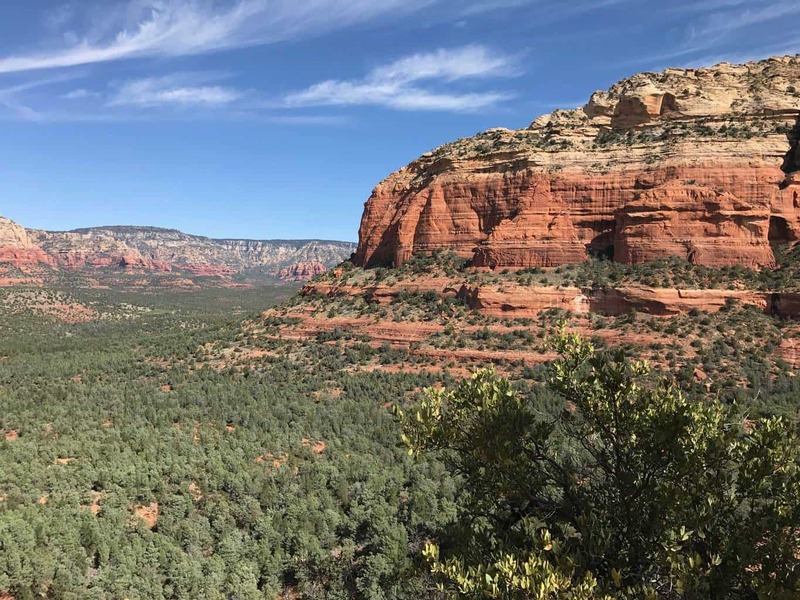 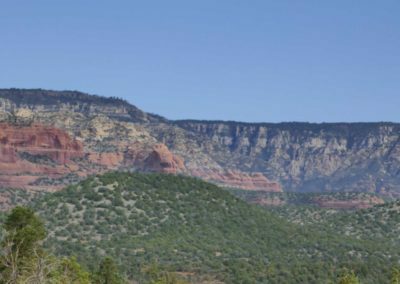 Fall/Spring: It’s ideal to hike Sedona trails, including the Devil’s Bridge during the fall & spring months when the weather can be generally milder. 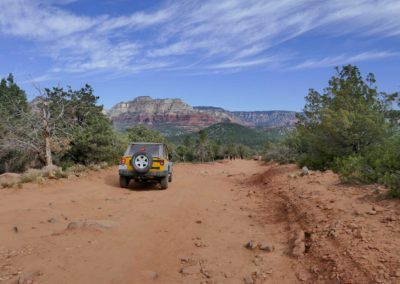 During the winter months it may be too frigid and contrarily during the summer months it may be too scorching. 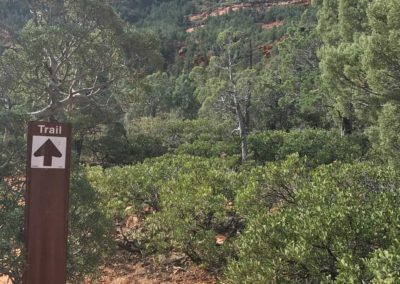 Yes, dogs on leashes are allowed on the Devil’s Bridge Trail. 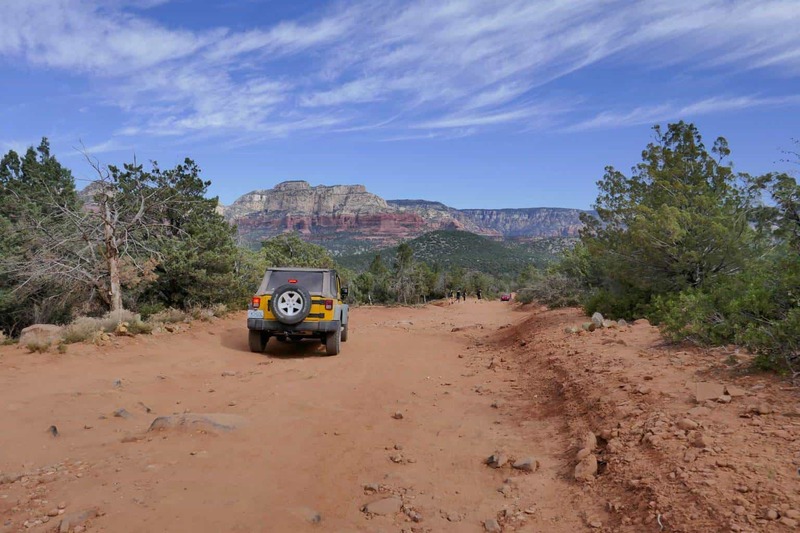 Overview: Street parking is highly recommended. 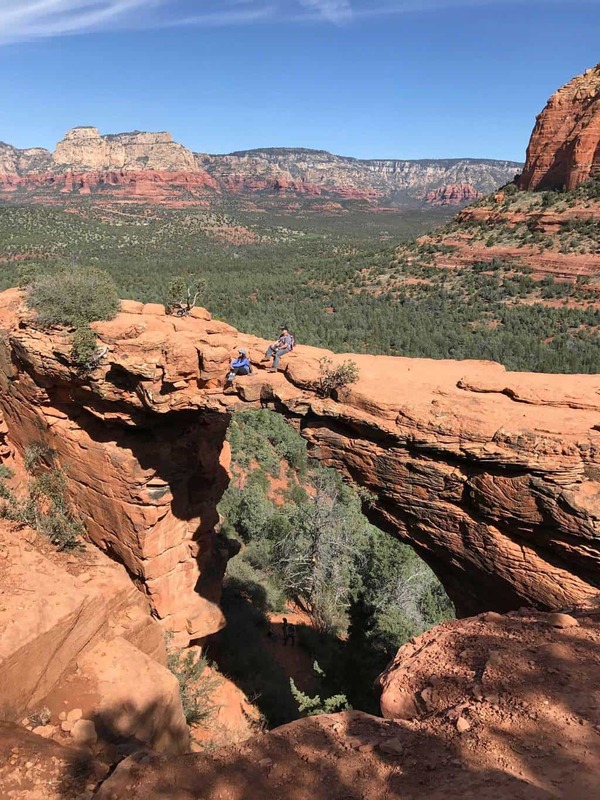 There is a small paved parking lot with limited space as well as some off road parking for four-wheel drive vehicles..
Devil’s Bridge is definitely a bucket list hike for active hikers! 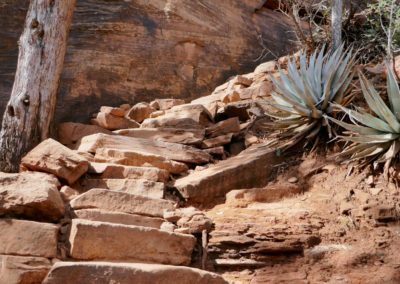 This incredible trail is full of incredible, picturesque moments and challenging enough to get the blood flowing. 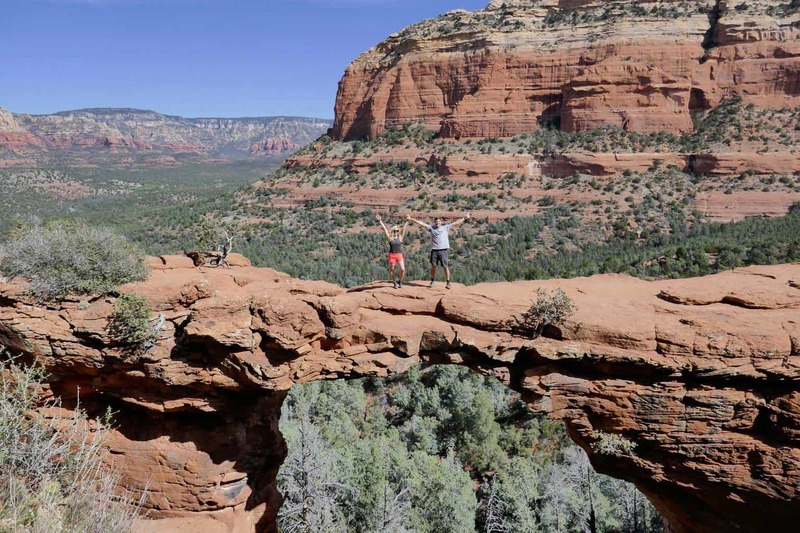 We loved experiencing this hike and taking pictures on top of the bridge. 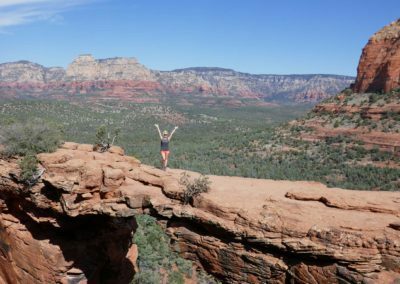 If you plan on visiting Sedona, we highly recommend adding this to your list!